LEFT OUT TO DRY: It’s the unofficial end to summer. Washington Square Park is brimming with activity, especially in the coveted sprays of the central fountain. 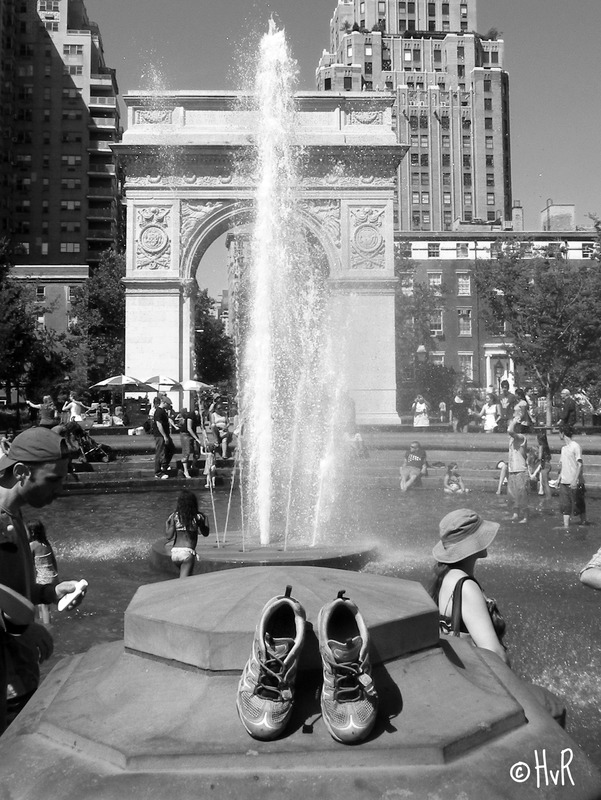 NYU University looms around the circumference of the (9.75 acre) park as the students and local residents enjoy those last romps in the fountain, perfecting their summer’s tan and just lazing in the sun while those soggy sneakers are left out to dry.